The global economy is undergoing significant, continuous and fundamental change brought upon by the impact of new Digital Technologies, and their Disruptive effects on industry, markets and organisations. Organisations are simultaneously grappling with the potential threats and opportunities presented by Digital, with many addressing through a series of Technology initiatives. However, Technology-led initiatives alone will not ensure an organisation will survive and thrive in the Digital Age! What are the new capabilities, skills and approaches required for leaders in the Digital Age? Are you ready to chart a course in an environment of rapid, continuous and unknown change? How can Leaders address the opportunity presented at the intersection digital disruption and personal transformation? What is a ‘Hybreneur’ and why is this important in the Digital Age? Join us for an insightful and entertaining afternoon as we consider how Leadership has changed and how organisations and Leaders can reposition themselves for the Digital Age! This is an outstanding opportunity to learn and share your challenges with other industry leaders. Michael’s mission is helping already successful corporate professionals who feel challenged or overwhelmed by technology-driven changes to survive and thrive in the Digital Age. His focus is to turn disruption into opportunities, equip clients with tools, mindset and support to succeed in today’s fast-changing world, so they have clarity and momentum to progress to the next level of their career and life, lead better and create more positive impact in the world. He has significant executive, director, advisory and international consulting experience. Michael will bring his fresh perspective on the new opportunities and challenges faced by Leaders in the Digital Age. Mark’s vision is for Australia to become a Global Leader and exemplar in the effective use of Digital Technologies and Digital Leadership. 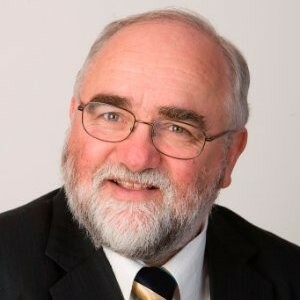 He has extensive IT industry expertise, is an Australian and Global ISO standards contributor, author of various business and IT publications, and is a globally recognised Thought Leader. Mark will facilitate a brief conversation to extract from Michael’s talk a short list of things that organisations need to do to ensure they survive and thrive in the Digital Age!